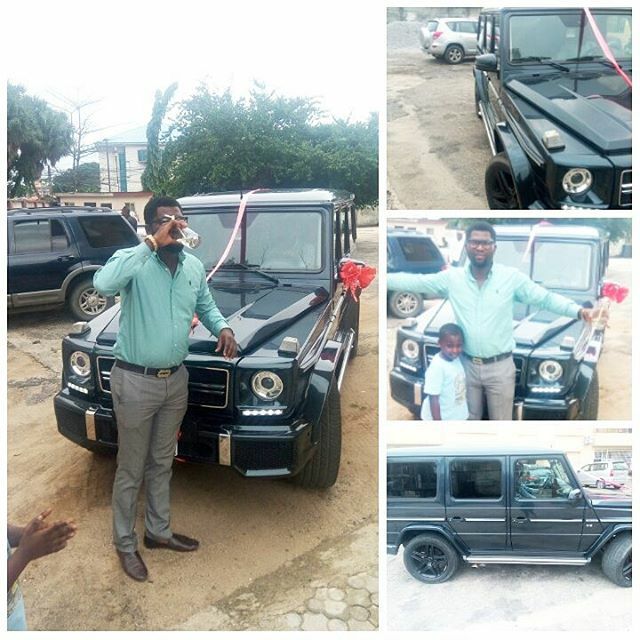 So earlier on today, I told you all about the Nigerian guy that supposedly bought a G-wagon for his girlfriend along with a note that said: "I am sorry''. Well, according to the car company that actually made the car delivery, the gift was from a woman, a very rich woman. They refused to mention her name as it is not professional. She had bought it for her man and asked them to deliver it to her. Press play to watch the video below & be marveled!